You will find us at the junction of Garthdee Road and Pitfodells Station Road. Our Postcode is AB15 9FX, but please note we have no postal address and cannot receive mail or packages on site, unless by special arrangement. 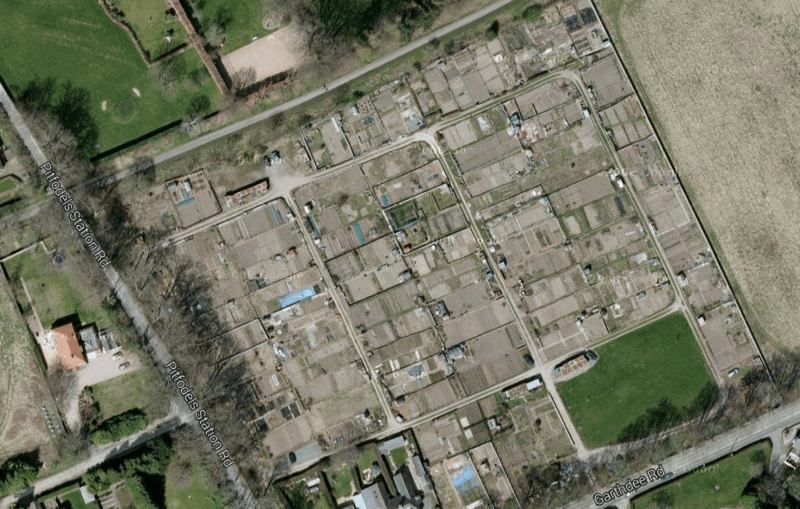 GFAA Site from Google Earth. Our main entrance is off Garthdee Road and we have off-road parking for authorised visitors. If coming by car use the entrance on Garthdee Road – look for the red and white barrier on the right when travelling Westwards. If coming by bus use the No. 1 or 2 Routes (alight near the Western end of Robert Gordon University) or the No. 19 (alight near the Marcliffe Hotel or International School). If coming by bicycle the Old Deeside Line provides a traffic-free cycle-path and the Pitfodels spur leads to our side entrance via a gate at the South West corner of the metal perimeter fence.